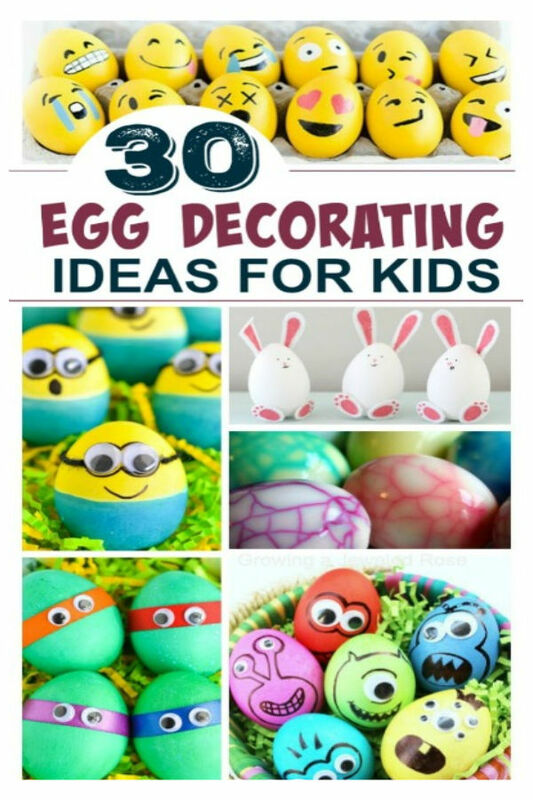 My kids really wanted to decorate & dye Easter eggs that would glow-in-the-dark! 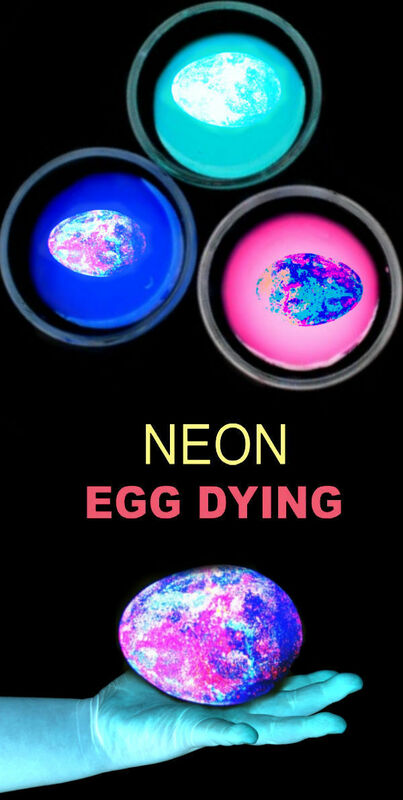 I loved the idea, so we experimented a bit and came up with a way to make glow-in-the-dark Easter Egg Dye. This was a total experiment. 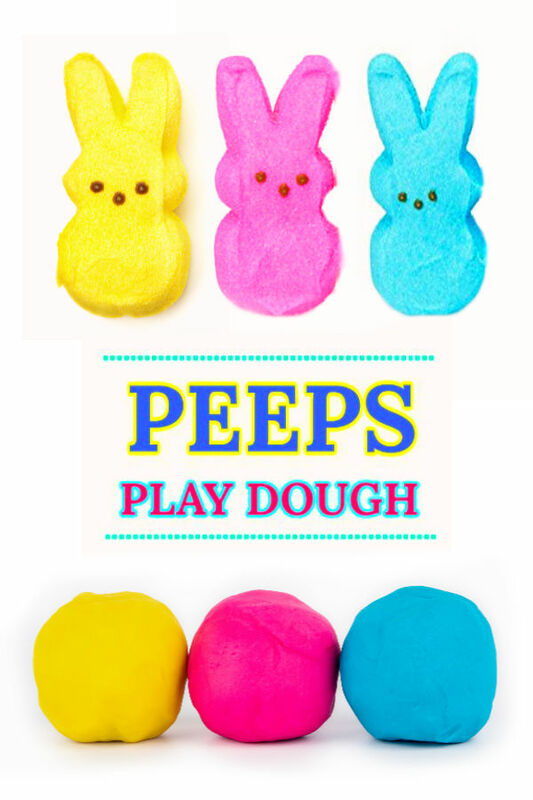 I had no idea if the ingredients would mix or if they would dye the eggs, and I certainly didn't expect such amazing results. My entire family was in awe! 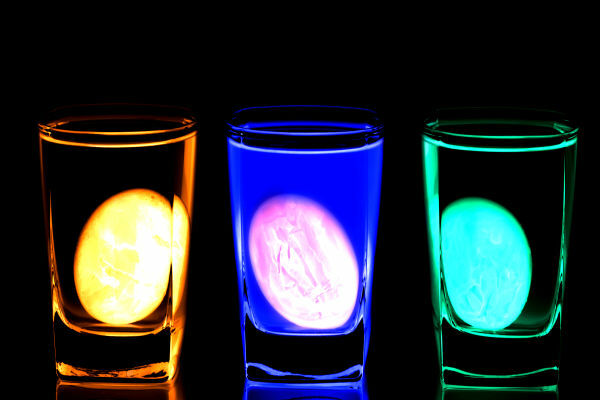 Read on to see how you can make your own glow-in-the-dark Easter eggs? 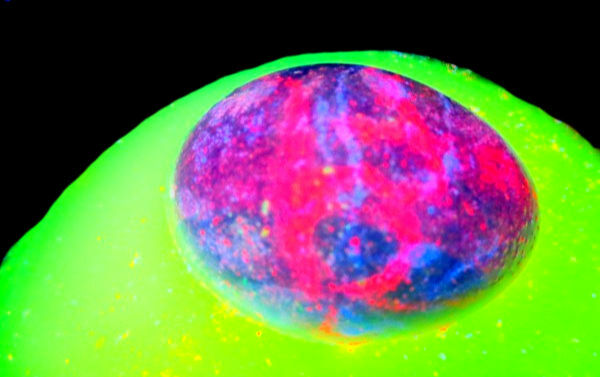 Begin by adding 1 tablespoon of neon paint to a cup or bowl, using one bowl for each color of Easter egg dye that you wish to make. 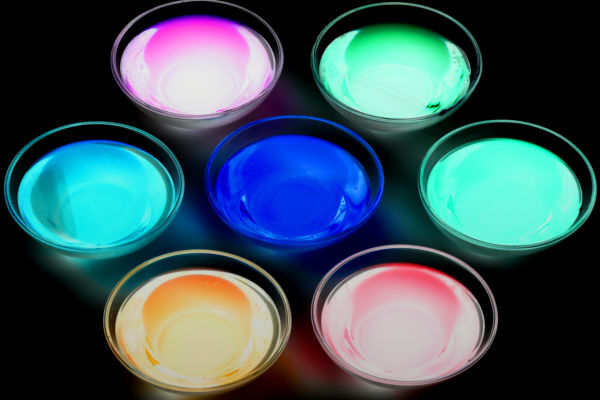 Add 1/2 cup of hot water to each bowl and mix until the paint is dissolved. 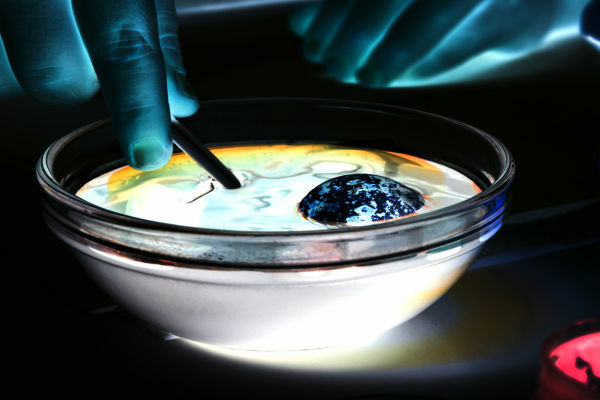 Then, add 1/2 cup of white vinegar to each bowl and stir until the ingredients are combined. 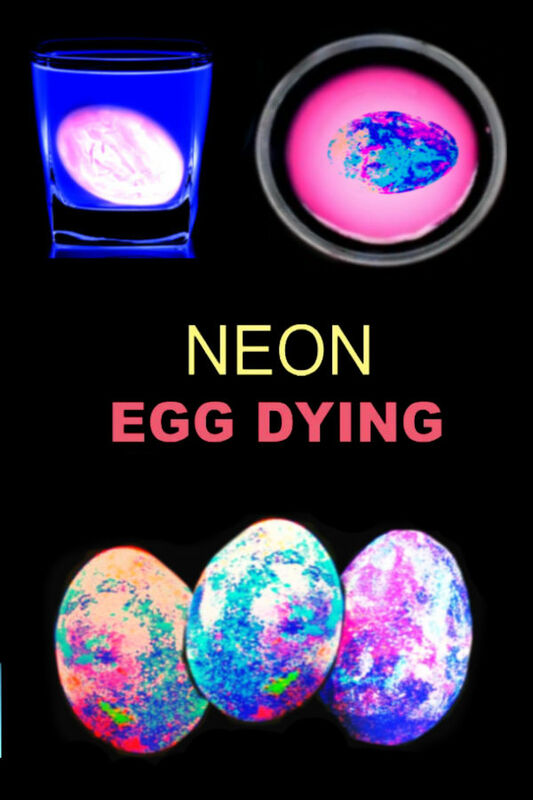 You now have glowing Easter egg dye! 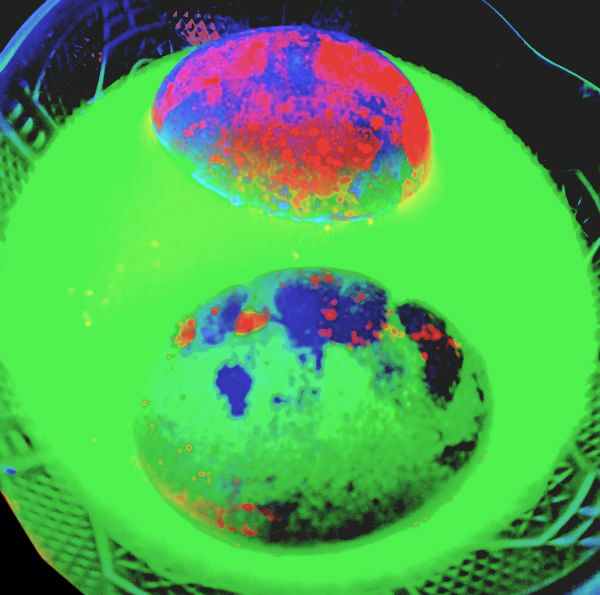 Once the egg dyes are mixed kids can dip hard-boiled eggs into the dyes the same way that they would with traditional egg dye. 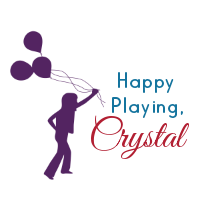 My girls had a blast transferring the eggs from one color of dye to the other, and they were determined to dip each egg into every container. 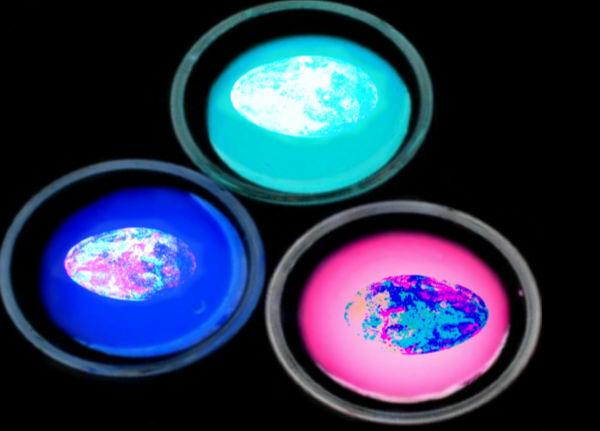 Transferring the eggs between the varying dyes ended up creating the most amazingly spectacular effects! 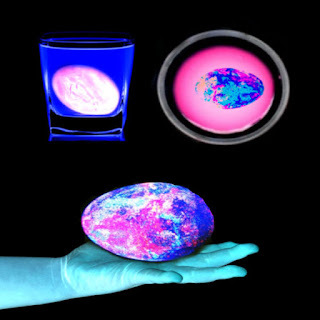 As the eggs were moved from dye-color to dye-color they transformed in truly mesmerizing ways. 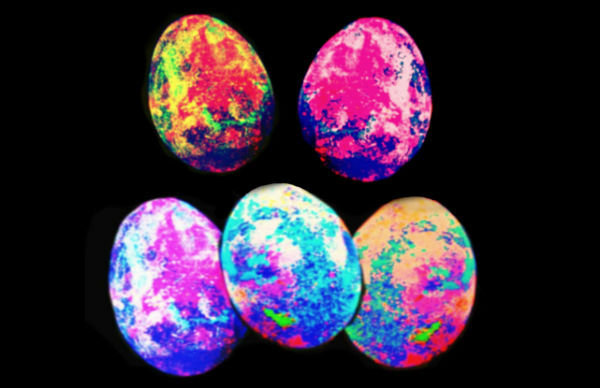 Rosie dipped the eggs into the glowing dye over and over again. She didn't want to stop, and the more she dipped the eggs the cooler they became! 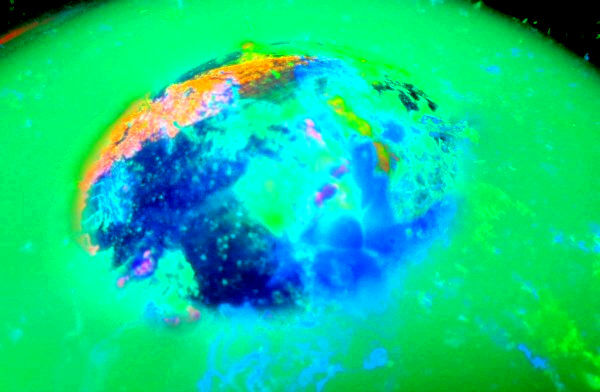 By the time she was done we were left with out-of-this-world glowing Easter eggs! 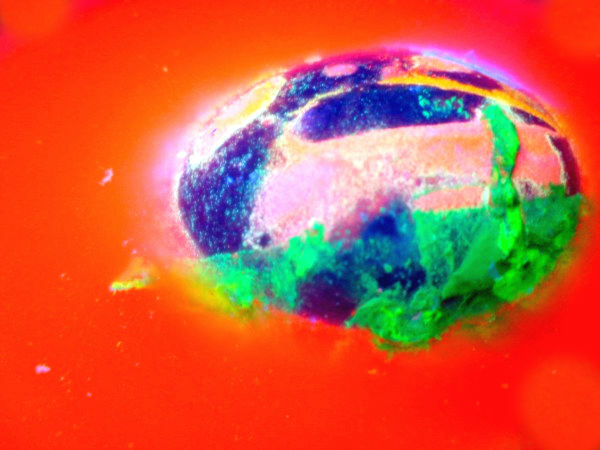 Once she had her fill the eggs quickly dried, and the final results were beautiful! 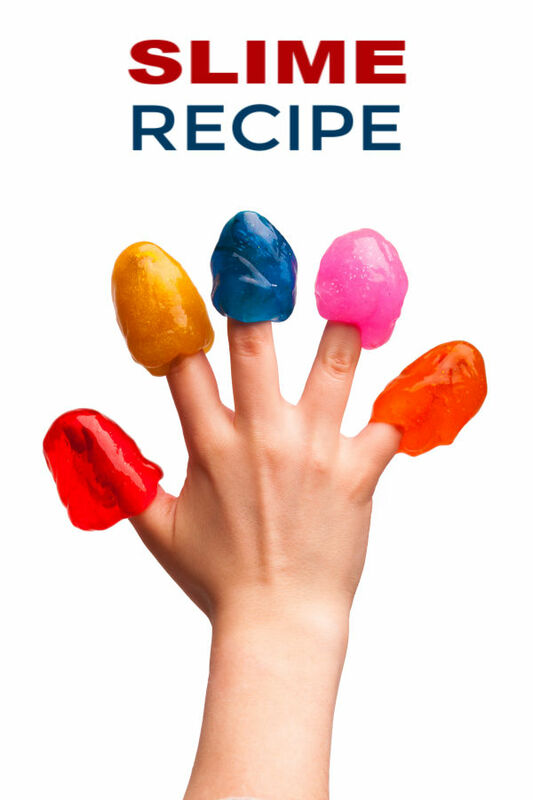 I would deem this a must-try kids activity! 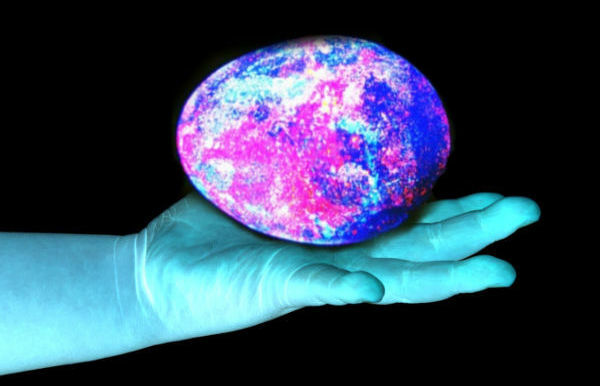 I mean, what kid wouldn't want to dye glow-in-the-dark Easter eggs, right? 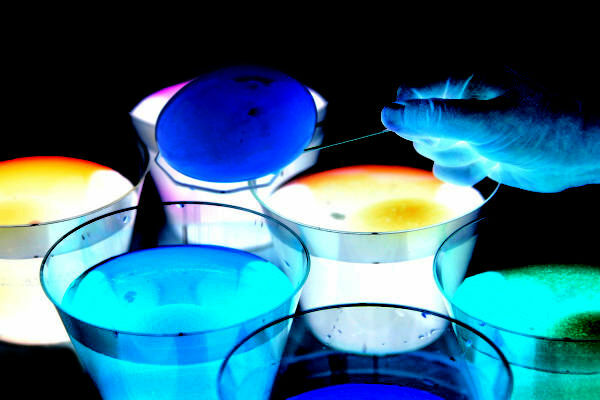 For the best effect you will want to use a blacklight for this activity. My girls love using these blacklight flashlights. 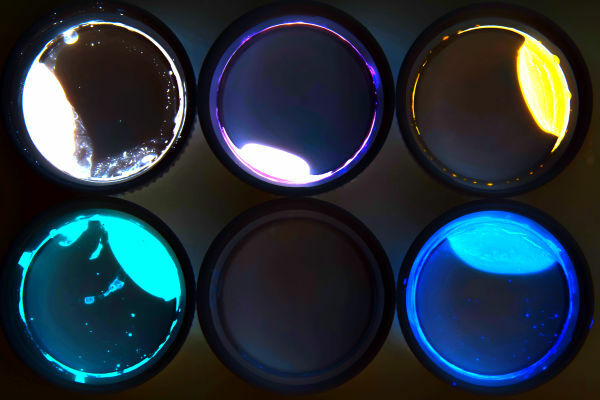 You can also use a blacklight fixture.